Our Original Blend. Smooth and balanced. 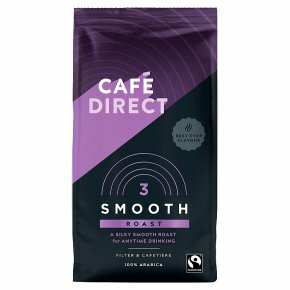 Smooth roast is made from carefully selected, freshly ground Latin American Arabica beans. So you get a rich, vibrant well-rounded coffee, bursting with flavour and a great excuse to put the kettle on. Brewing For Cafetières try 1 heaped add hot water (just off the boil) and use a little water to evenly coat the grounds. Top up the water, stir, leave for 4 minutes, then plunge & enjoy. For all brew guides visit us online.